Home Kitchen Jam season begins! June is one of my favourite months of the year. There’s (hopefully!) endless summer days perfect for lots of al fresco dining, the quintessentially British tennis competition Wimbledon (come on Murray!) and last but not least the beginning of the UK strawberry season. Although they can be bought all year round nowadays, I love a good home-grown strawberry as they just have so much more flavour than the imported strawberries (not surprising really, considering that imported strawberries are picked whilst slightly under-ripe to ensure they don’t go mushy during transport). However, if you’re anything like me, you’re invariably a bit over ambitious at the local PYO farm. While you can’t go wrong with strawberries and clotted cream, what do you do with the leftovers when you finally become strawberry-and-creamed out?! Well, jam is the answer! Preserves will become your best friend, as it will save the sweet and delightful flavours of summer for the cold, dark, miserable winter months. Jam is easy to make, but difficult to perfect. Although you only require fruit, jam sugar and a watchful eye, without the proper sterilised equipment bacteria and yeast may get into your preserve, causing mould to form or fermentation. 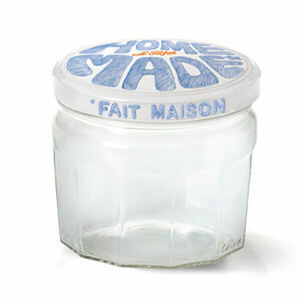 To ensure an edible end product you need to use sterile airtight glass jars, as they will prevent your jam from spoiling. 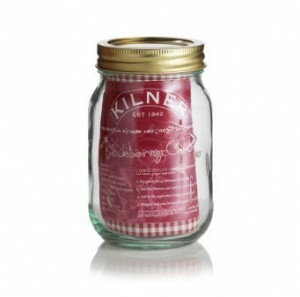 Kilner and Le Parfait are both companies who excel in this area. Depending upon your personal preference, you can either choose a clip top jar or a screw lid jar; both are equally as airtight, but if you’re like me and always lose your screw lids, the clip top jars will be your saviours! 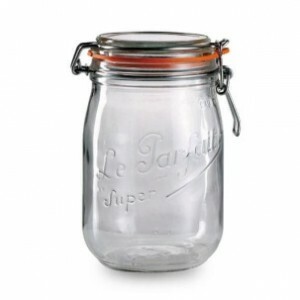 Perfect for use every jam (or chutney) season, the glass of the jars is easy to sterilise using hot water or a dishwasher, and all seals can be easily replaced when required. 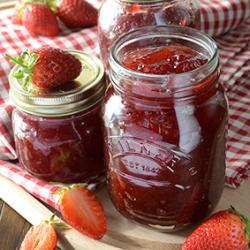 All come in a variety of sizes, so you can find jars suitable for every jam making occasion. Combine these with a suitable jam pan, funnel and thermometer to ensure that you hit just the right setting temperature, and the jam making world is your oyster. Whilst as the rest of this blog suggests I’m very partial to a strawberry jam, there are plenty of other fruits currently in season that it would be criminal not to pot up! 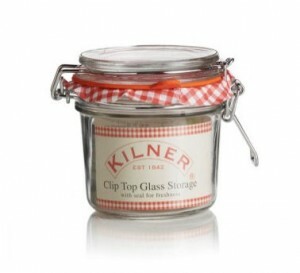 Cooking Tips, Cookshop, Jam jars, jam making, June, Kilner, kilner clip top jars, Kilner Jars, Le Parfait, Le Parfait jars, Philip Morris & Son, Strawberries, Wimbledon. Bookmark.